White males, 100 million strong, constitute approximately 35 percent of the U.S. population, a percentage that declines slightly each year. They matter very much to discussions of race, ethnicity, and gender in the US due to their numbers and the enormous influence they have wielded-and continue to wield. In this highly original and readable work, Dominic Pulera offers the broadest and most balanced treatment of the white male experience in America to date. He contends that virtually all white males are sharing the American dream with women and people of color, in response to the nation's changing demographics and the multicultural mindset that informs policies and attitudes in our nation. 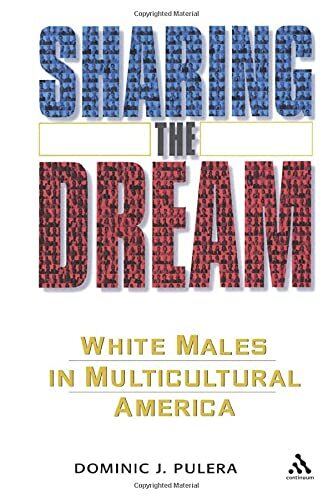 Some white males are sharing the dream voluntarily; others are doing so involuntarily. The author also explores the heterogeneity of white male America, taking into account such factors as age, ethnicity, ideology, social class, regional background, occupational status, and sexual orientation. This timely work relies on a broad range of sources, including extensive field research and hundreds of interviews along with the best primary and secondary sources available. It includes original historical treatments, discussion of contemporary dynamics, and comparative material that takes into account the experiences of peoples in other countries. In doing so, Pulera places white males in the context of America's ongoing transition from a predominantly white country to one where people of color are increasingly numerous and consequently becoming more visible. Dominic J. Pulera is an independent scholar who lectures and writes about issues related to race, ethnicity, and gender. In the wake of his first book, Visible Differences: Why Race Will Matter to Americans in the Twenty-First Century, he spoke at 13 universities on 4 continents and appeared on a one-hour segment of Book TV (C-Span). He has been a frequent guest on radio and television programs in Atlanta, Baltimore, Chicago, Detroit, Los Angeles, Philadelphia, and Washington, D.C.